I am new to this forum and I I'm glad to be here. 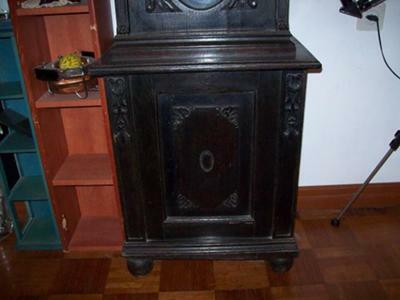 I need help in identifying an old long case clock that I consider buying. 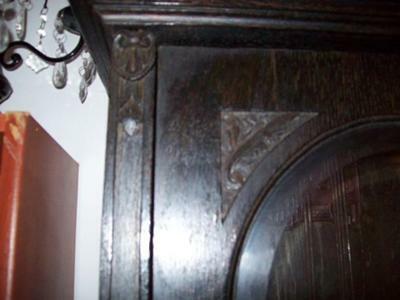 The clock is said to be from German origin and I am well aware that such a restoration doesn't come cheap. 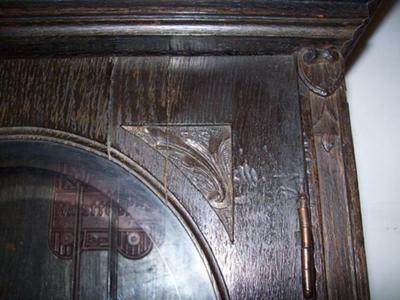 I have no Idea how much such a clock could worth after restoration and I would ask anyoneto try and give me a value estimate so that I can make an intelligent decision. The clock is about 2 meters tall with a huge 27 cm (10.6") dial. The movement plates are also huge and they measure 17 X 17.5 cm (about 7" X 7"). 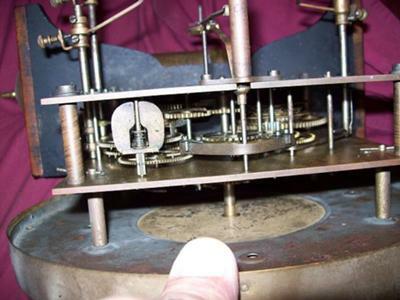 It's a 2 weights driven clock that strikes every quarter of an hour on 6 rods chime but it does not strike correctly at the moment. The chimes block says WINETT GONG. The clock you are interested in does look to be German origin, more pics would be a big help. I spend a lot of my working life repairing this type of clock, the movement is almost certainly German, again more pics would help. It is a good quality movement, because the end plates are fairly thick, cheap movements have much thinner plates, and wear out much faster due to the lack of bearing surface available where the arbour ends run in them. Value-wise I can only speak about the u.k market, you can pick this type of clock up here for around £200 to £500 depending on condition. Repair-cost wise the same applies, i.e. I have no idea what you are going to have to pay to have it repaired in your country. If you can buy it cheaply enough it would make a great d.i.y. project, provided you are mechanically-minded. I only suggest this because it is a striking clock, if it had been a chiming clock ( chimes on all four quarters then strikes the hour)I would have said leave it alone, they are VERY complex to build and repair.